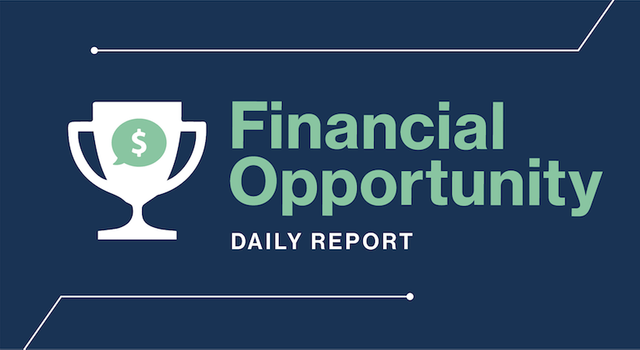 Congrats to today's Financial Opportunity Winner, #utopian-io! 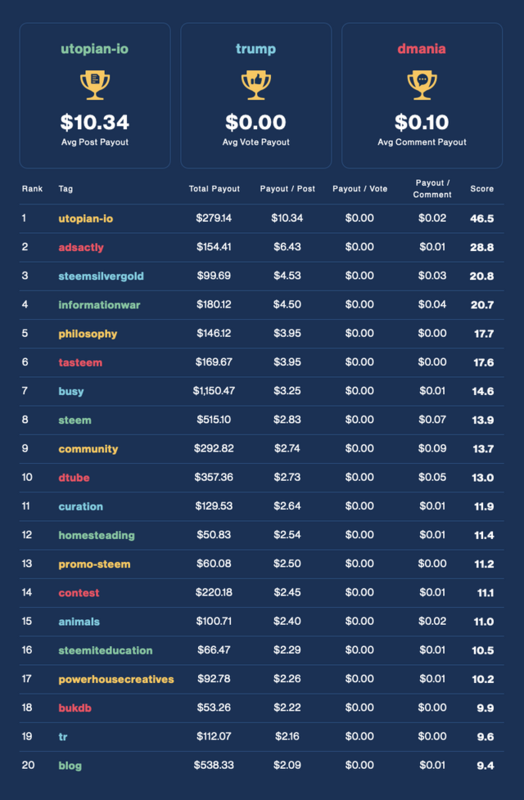 Each day we award and rank the top performing tags across the Steem ecosystem in terms of financial opportunity. Find which tags are your best opportunity to make rewards! If a tag has a high financial opportunity score, then the community wants more content related to that topic. Writing relevant and quality content about these tags could result in more rewards for your posts. We're on a mission to help you make sense of Steem. As community members and builders, the @SteemSmarter team stands by the principles of Transparency, Simplicity and Actionability. As we dive in to the new world of blockchain data, our goal is to provide you with valuable insights. We will be continuously improving the way we make sense of the Steem blockchain data and will announce all updates. Read our disclaimer here.